LOUISVILLE, Ky. — Mile Wide Beer Co. is far from your average brewery. With a line-up that includes a peanut butter stout and a gose flavored with coriander and pink Himalayan sea salt, the crew at Mile Wide is open to experimenting with just about anything. With the Kentucky Derby right around the corner, they saw an opportunity they just couldn’t pass up. True to their unconventional style, they side-stepped the classic Mint Julep for Derby’s second-most-popular drink: the Oaks Lily. 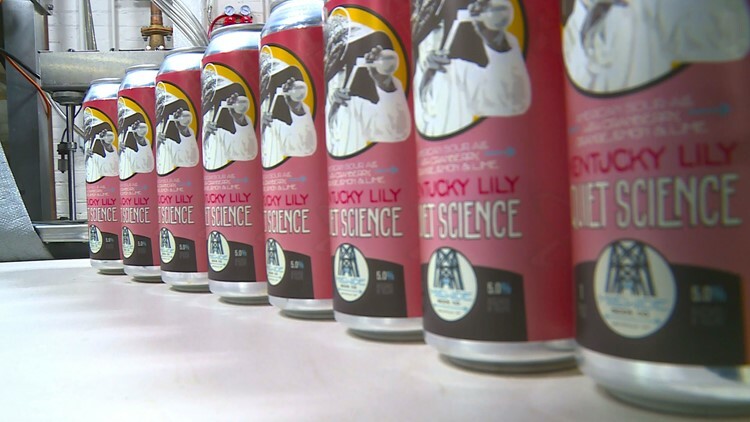 On April 12, Mile Wide released their newest brew: Kentucky Lily Quiet Science. 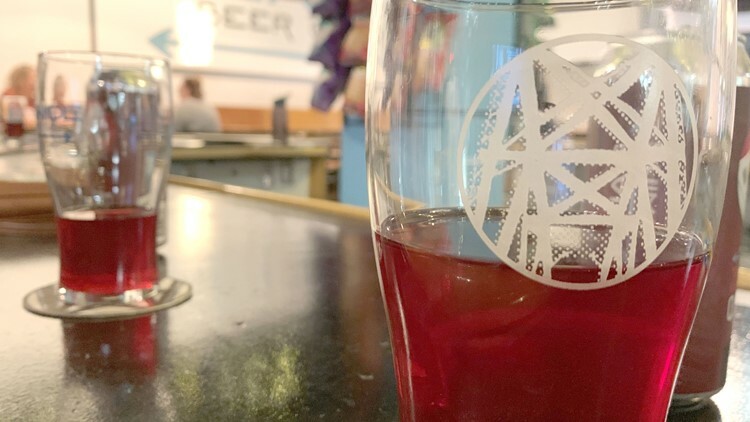 This sour ale is brewed with cranberry and orange puree as well as natural lemon and lime flavoring, capturing all the flavors of the Lily – no shaking or stirring required. Kyle Tavares, the co-founder and head brewer at Mile Wide, calls the beer a taste of the Oaks Lily without all the hard work. Plus, it can be enjoyed without enduring the crowds at Churchill Downs. “I want people to think about…nice weather and being outside,” he said. The beer will be available at the Mile Wide Taproom and Brewery on tap starting Friday, April 12. Mile Wide Beer Co. started with “a few friends, a couple beers, and one big idea”. Including the Kentucky Lily, they feature 13 different beers on tap, all of which are brewed right here in Louisville. Don’t believe us? You can watch the process thanks to the floor-to-ceiling window between the taproom and brewery. The brewery features a system that can brew up to 475 gallons of beer at one time. The Mile Wide Beer Co. Brewery and Taproom is open on Tuesdays-Thursday from 4 p.m. to 10 p.m., Fridays and Saturdays from 2 p.m. to 12 a.m., and Sundays from 2 p.m. to 8 p.m. Contact reporter Jessie Cohen at jcohen@whas11.com. Follow her on Twitter (@jessiecohennews) and Facebook.